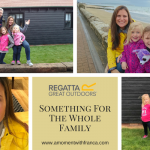 If you follow my blog you would probably have read about our fun day with model Vogue Williams & Regatta. It was a cool photoshoot that I did with my little girls. Afterwards we were each given some clothes. 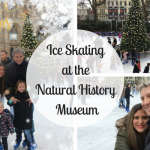 We loved everything we got so I thought that it would be nice to do a blog post about it so you can check them all out. Regatta was also very kind to offer the chance for one of my lovely readers to win an amazing voucher! You can find out more about this GIVEAWAY at the bottom of the post. Regatta is a family orientated brand and as such, you can find something for all the family which is fantastic. Their outfits offer not only practical outdoor wear but they also look fantastic too. They also have a great range of colours to choose from. I was really excited to try all the clothes we had received once we were back home from the shoot. Even Nick received a lovely jacket which he is now using daily, as its perfect for the colder weather we are now having. This black jacket was featured in the video Regatta filmed with me and it has been a life saver as I have been wearing it constantly. It is perfect for this time of the year now that temperatures have fallen. It is a beautiful jacket and the ‘fur’ in the neck and sleeve areas make it very stylish which makes me want to wear it even more. I also mentioned these wellies on my previous post. I absolutely love them and use them a lot. They are so comfortable and I love the design. 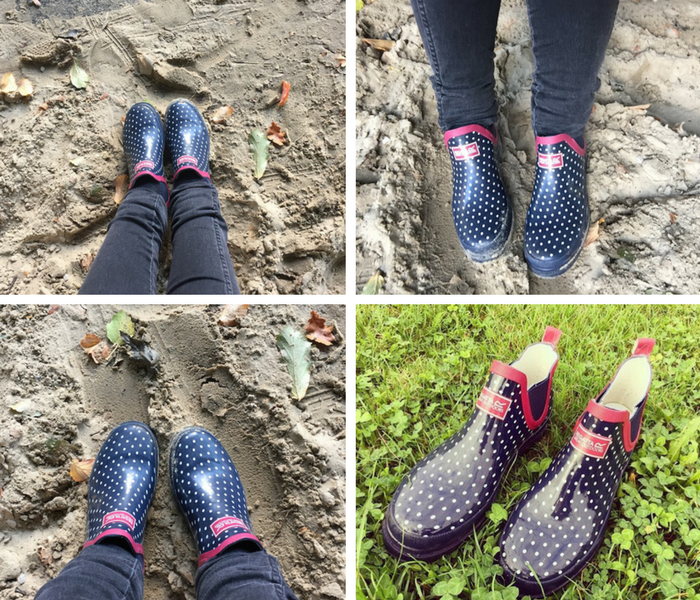 They have been so useful for me, especially for those wet rainy days. They’re made of soft rubber with a cool cotton lining and an EVA footbed for cushioned comfort. This fleece is incredibly soft. Every time I wear it I feel like I am constantly hugging a soft toy. It really is amazing! 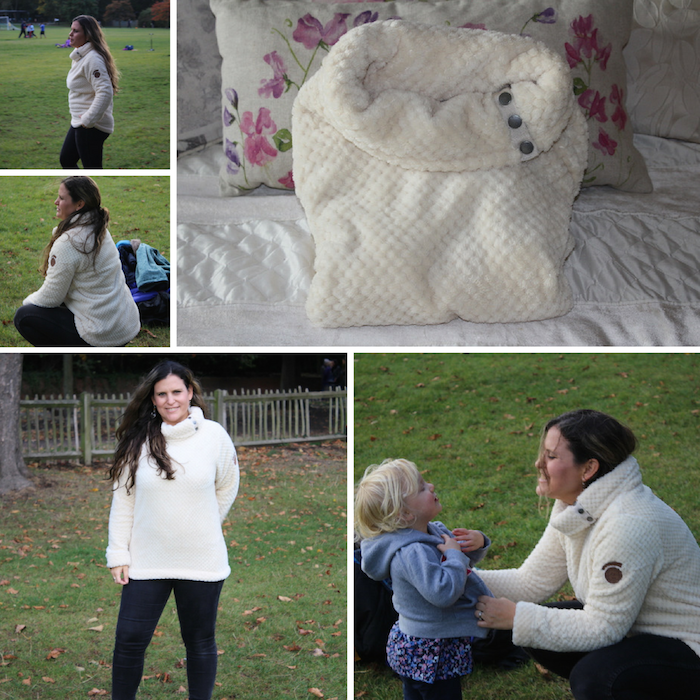 It is made of fluffy grid fleece with a soft sheen and a buttoned cowl neck. It has two lower pockets which are always very useful. The only downside is the colour as it tends to show any dirty quicker compared with darker colours. I personally like the colour though, as I think it looks very stylish but I would perhaps love to get another one in black. That would be perfect! This hoodie fleece is really useful. I have been wearing it a lot for the nursery run. It warms me a lot. It is a casual look but at the same time looks great. It is made from winter weight marl fleece with a cosy oversized hood and two hand-warmer pockets. This All-in-One suite is really practical. It is great for playing in the sandpit or when it has been raining and the swings and slides at the playground are all wet. The best thing is that it keeps your little ones warm. It has the cutest animal face print and ears on the hood. 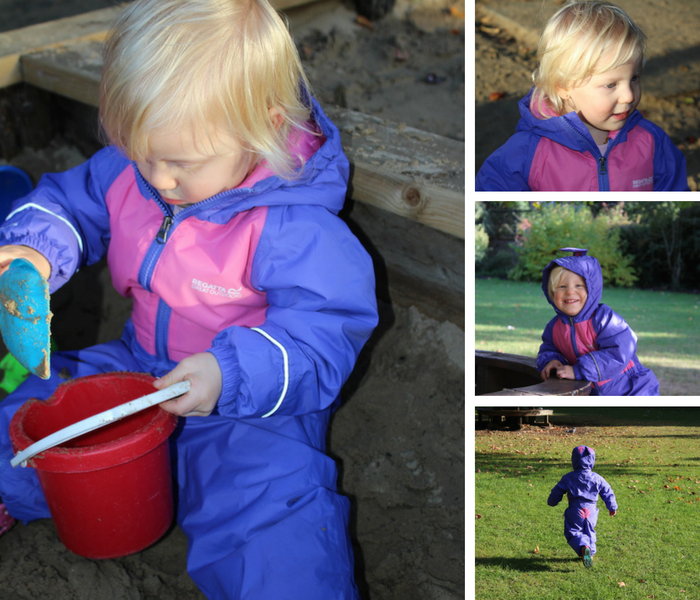 Sienna loves wearing it to jump in the mud or when she’s playing in the garden. It’s made with a lightweight and breathable Isolite fabric with fully taped seams which keeps them nice and dry. It’s fully lined with brilliantly warm Thermo-Guard insulation and soft fleece panels. It also has a reflective trim. This pink fleece is so cute. It is actually a little big for Sienna still as it is one size up but despite the size it really makes her look adorable when she wears it! The hood has a playful animal face and ears on it. It’s made of brilliantly soft, warm fleece with a jersey lined hood and thumb loops for a snug fit. OMG, this animal hat is so adorable! Every time Sienna wears it someone always says something. She absolutely loves it. It is so cute and fun for her to wear. You can also pair the hats with matching gloves. This parka looks cool and keeps Bella very warm during the recent cold weather. It is waterproof/breathable Isotex 5,000 fabric with taped seams which keeps her dry inside and out. The Thermo-Guard insulation and soft fleece details give her plenty of comfort from the cold. It comes with a fine-quality ‘fur’ trim hood, cosy handwarmer pockets, breeze-blocking stormcuffs and has a reflective trim. These wellies are gorgeous. 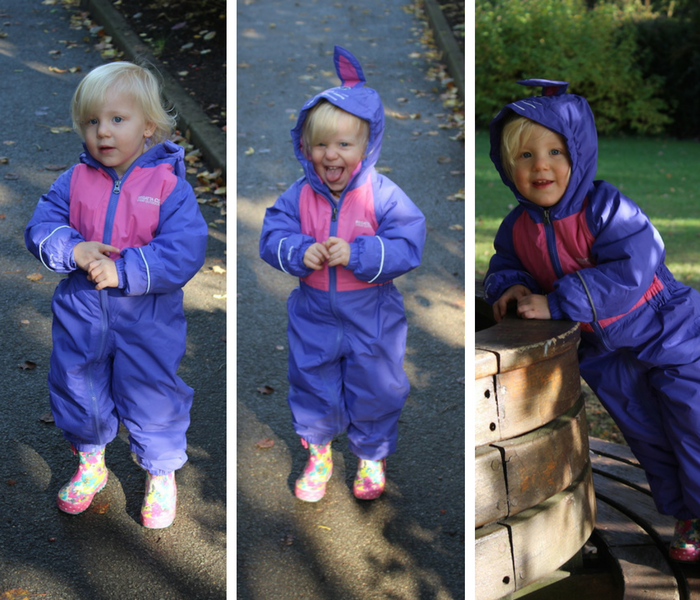 They are very strong too as they are perfect for splashing in the puddles or for very muddy play moments. They have super cute printed patterns and fun colours. They are made of soft rubber and have a natural cotton lining, easy on-off handles and a grippy tread. 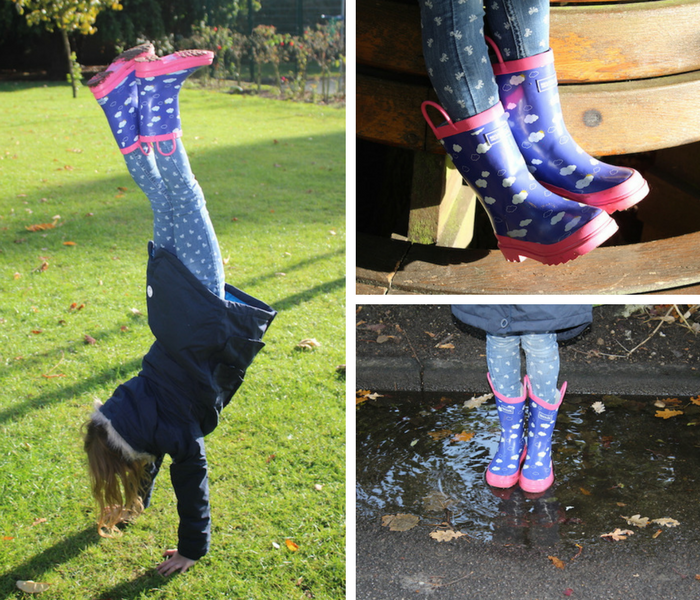 Bella really likes these wellies and feels very comfy when she is out and about wearing them. This polar bear fleece is incredibly soft. It really feels like a polar bear. Every time I hug Bella when she is wearing it I feel to stay there forever, LOL! It is made of winter weight fluffy fleece with two side pockets for instant snugness. Nick really likes this jacket, he is wearing it a lot lately now that the weather is colder. I personally love how it looks on him and the colour is great! They have great jackets for men and it was hard to pick one but this one has become my favourite jacket for him. It has a multi-pocketed design which is very practical. It also has a Hydrafort outer and is lightly wadded with Thermo-Guard insulation. The detachable hood is lined with plush Sherpa fleece and the front zip is reinforced with a poppered stormflap to keep the weather out. We are all really pleased with the clothes we received from Regatta. Every single piece has been amazing. All of us have been using our items daily and we have definitely become fans of Regatta’s clothes. Now on to the fantastic giveaway that I mentioned at the start of my blog post. 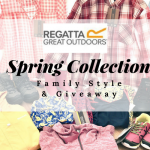 The lovely people at REGATTA have kindly offered me the opportunity to run a giveaway so that one of you can WIN £100 VOUCHER TO SPEND AT REGATTA. In order to have a chance to win, you just need to enter the giveaway below. Good luck! This Giveaway starts on Sunday 4th December at midnight. This Giveaway closes on Sunday 25th December at midnight. Have you heard of Regatta before? Have you bought clothes from them? Have you seen their latest range? What do you think of the items that we all received? What is your favourite? Please leave a comment below as I would love to read what you think. I haven’t shopped with them before. I love the black jacket, it loos very cosy. They have a lovely selection of ladies long sleeve t shirts – I think I’d buy some of those. Also a fleece or two, they look nice and warm and one of the lovely cosy cardis. Can you tell I@m feeling the cold lol? Penkar Jacket Bayleaf would be my first pick although I am not a regular customer. It all looks great but particularly your two adult fleece’s, the white is very stylish but the green would probably look better on me. Can you get the animal hat in an adult size? I would love one of those! I have bought Regatta fleece’s and a coat before and they have all lasted well under pressure (I wore them so much). It’s a great brand with excellent products. 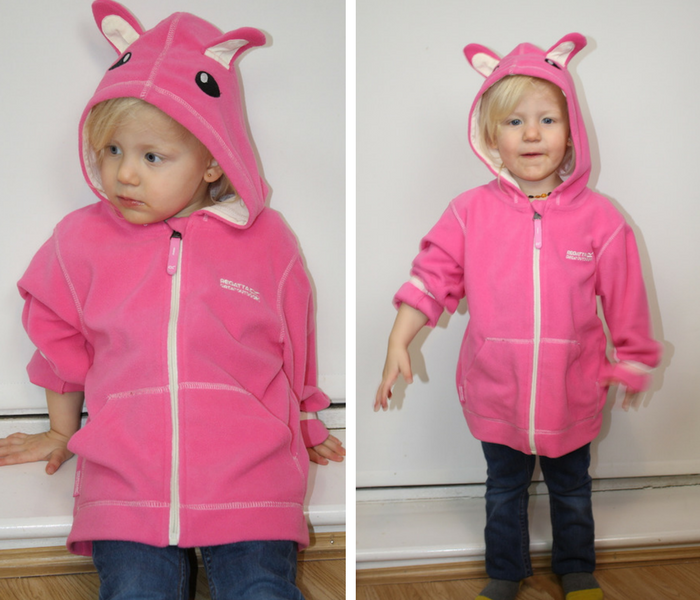 I love the Sienna pink fleece hoody – I’d probably get that, and a jacket for myself! I absolutely adore your white fleece vanilla jumper it looks so cosy and it being bright white it’s my fav colour! I also love your girls hoody with the ears on and the all in one suit. Just what I need for my little boy. I have bought regatta before. My oldest son got a regatta jacket for going back to school with. 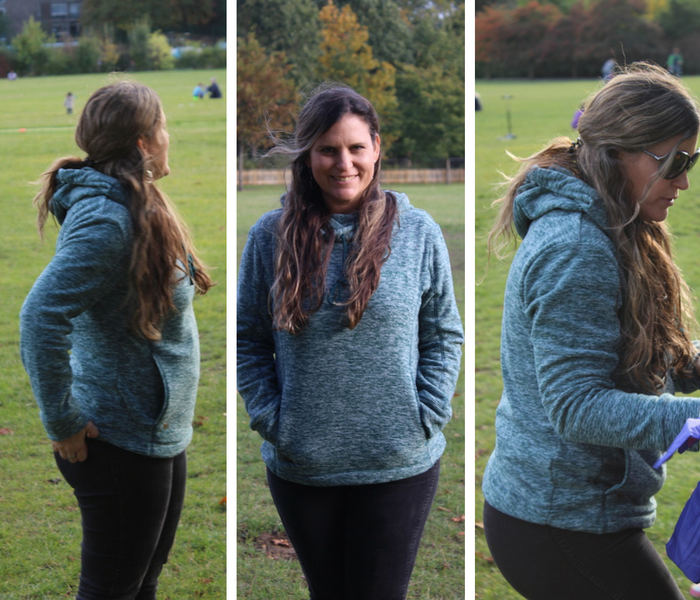 It’s great for all weather as it comes with a separate fleece inside! I’d definitely buy the vanilla jumper for me. The all in one suit and hoody with ears for my youngest and would buy my oldest another regatta jacket for next year! I love Regatta, great quality. Bought a waterproof jacket this year and would now like a fleece and walking boots. I shopped with them years ago but not recently. I’ve not seen their new range but I love all this stuff. I’d probably buy a really warm waterproof jacket for when I’m out walking. I must admit I haven’t shopped with Regatta before as I thought their clothes were just for serious hikers! I’ve not seen the range either but now you’ve shown me what things they sell, I’m going to take a look for myself. 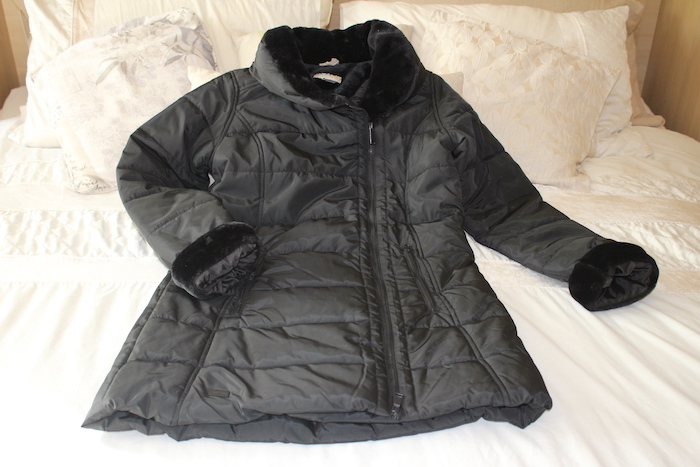 I really like the Black Jacket at the beginning of your blog as it looks like it’s going to keep you warm in Winter! If I win, I think I’ll get one for myself, I need something that I can feel cosy in. I have a regatta coat at the moment and would love a new one. I like Regatta gear – it’s good value, I think. I wear their fleeces and base layers. If I win, I think I shall treat myself to a gilet and a lightweight jacket. I used to shop with Regatta and mom and dad still do. They make great quality clothes and i love your choices. If I were lucky enough to win I’d treat myself to a new coat. I’ve never bought clothes from Regatta before and haven’t seen their latest range. I love the items that you received. My favourite is the black Patrina jacket. If I win the £100 voucher, I would buy that. I’ve never heard of them till now, but looking at their site, they look really amazing, looks like good quality! I think I would love to try one of their fleece jackets to help keep me warm during the winter! and I think my favorite item is their SWEETHART FLEECE DEEP TEAL, I love the colour and the price is so reasonable! We do love Regatta stuff. Their fleeces are especially good. I have a 3-in-1 coat I’ve been wearing for years! Still warm in winter and 100% waterproof, but it could do with replacing! I’ve had a few jackets and walking boots from Regatta and I always find them to be well made. 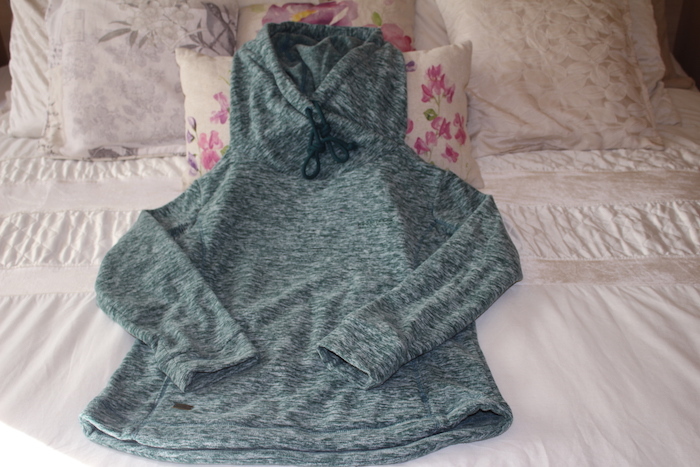 I hadn’t seen their latest range, but I love the items you were sent, I really like the Vanilla Fleece. If I was lucky enough to win, I’d buy the LADY SAMARIS MID BOOT ENAMEL CHARCOAL and the CIRRO 3 IN 1 JACKET DEEP TEAL LAKE. I love the Vanilla fleece you have, it is beautiful. I have not shopped with regatta before, I did not realize what a great range they had. 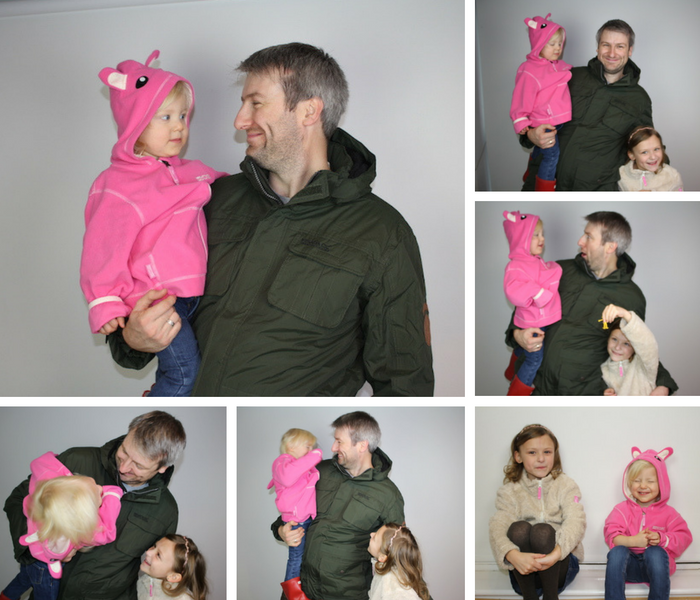 I would probably purchase a couple of fleeces for my daughters and then take my husband shopping so that he can treat himself – he spends a lot of time out in all weathers with our dogs and gets through a number of different coats/jackets and walking boots, so can always find something to spend his money on. I have bought Regatta fleeces before and have been very happy with them. I would treat myself to a nice warm coat. I’ve never shopped with Regatta before as I’ve always thought their clothes were too expensive but I have had things bought for me and they are always top quality. I like the highspace jacket in black. I don’t recall ever having any Regatta items. I have purchased from Regatta before. There new range looks fantastic. I would be tempted to buy myself some outdoor boots. I have brought my kids jackets and waterproof trousers before. I love the all in one suit and the ladies fleecy jumper I would definitely buy them if i was lucky enough to win. Loving the new range. Bought a jacket when I was 18 from them and it lasted me years! I haven’t shopped with them before but I’m going to take a look now. Thanks for pointing me in their direction. I have bought Regatta before for all the family. It is always great quality and a good price. I would treat myself to the Radella Hooded Fleece Rock Grey, I love it! Love the parkas and fleeces, particularly SWEETHART FLEECE BLACKBERRY WINE. Could easily spend money with Regatta. I’ve bought a jacket from Regatta a few years ago & it’s still going strong now. I hadn’t seen their latest range until I read your blog post. The items you received look great I particularly like the Low Cut Wellingtons Shoes, just what I’m looking for. I Have heard of them, but never shopped there. 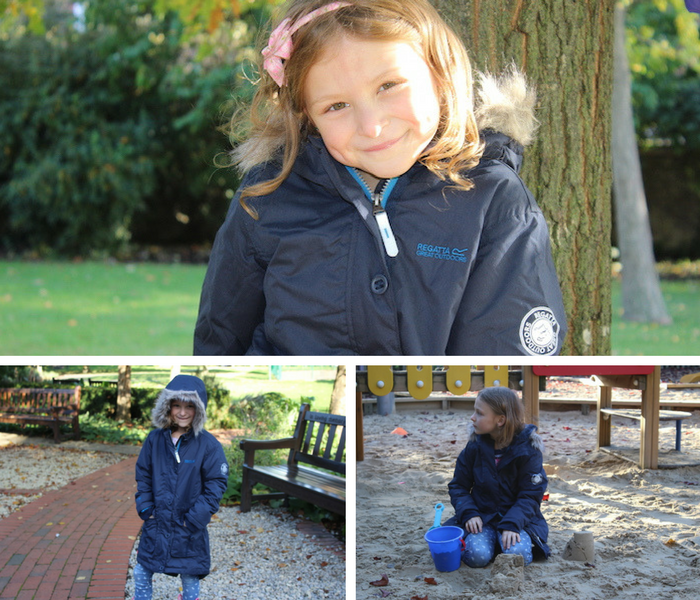 Love the range you were sent, I would love to get a waterproof coat for when I go out in the rain to school each day. I brought myself a berry red parka coat last year from Regatta. It’s amazing…feels like your wearing a quilt & it’s fully waterproof too! 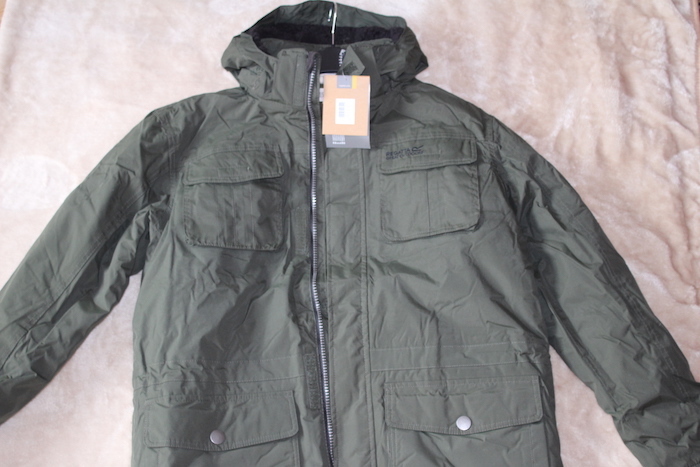 I like the Penkar Jacket Bayleaf – £59.95 for my partner… seems a really good price for a really nice Jacket like that. Yes I have shopped with Regatta before, both jackets and fleece tops which we got very good wear out of. The range is always changing and I’ve had my eye on a new cosy fleece top and gilet. Although I might invest in a winter jacket this time. 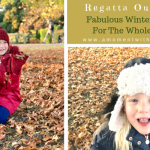 I have bought from Regatta in the past and I adore their waterproof winter coats! 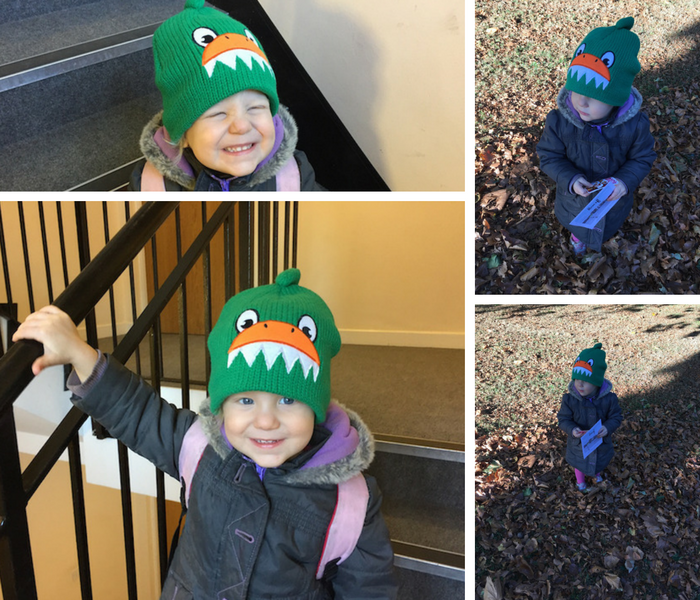 I think you all look fantastic in the coats you received and i’d treat myself to a new winter coat and i’d get one for my other half as well as we love walking and being outside – whatever the weather! I personally being honest haven’t used this website before but after seeing the amazing stuff it sells i will 100 percent be using it, I think i would purchase the ladies frontier mid hiking boots as they look great. I haven’t bought from Regatta before and yes I have seen there new range. 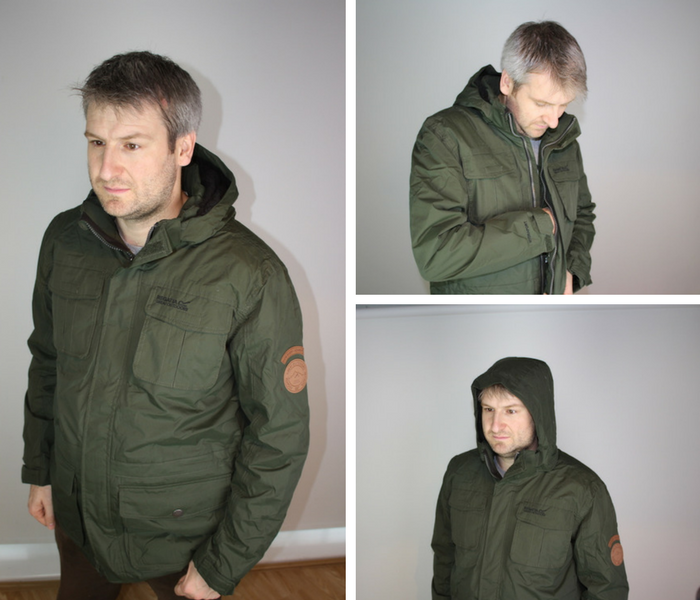 The items you received look great my favourite is the Penkar Jacket. If I win I would get the Winsford 3 in 1 Jacket and Semita Jacket. Hi we have fleeces and my son has a coat from Regatta. If I won I would buy my other son a coat and get us all some new tops. I haven’t shopped with them before. I like the Regatta brand, I have a lovely jacket and fleece. I particularly like the white fleece featured. I have bought Regatta clothes before and found them to be very good quality and hard-wearing. If I won this super prize I would buy some outdoor garments for my little granddaughter. I love the white fleece vanilla jumper. Yes we have coats and fleeces from when we went skiing. Used to have a Regatta fleece coat. They are good quality and would like to get another. Like the look of the Penkar Jacket Bayleaf coat too. Yes, my husband and I have both had Regatta jackets in the past. It’s a fabulous brand. If I am lucky enough to win, I would choose an outdoor coat/jacket. I have had some of my Regatta fleece for years. With the voucher, I would treat myself to a brand new Halina Fleece. I like all the clothes you got, especially the black jacket with “fur” trim. It’s hard to find a jacket that is both warm and stylish, and this jacket is both of those things so a real winner. Yes , I have a regatta fleece and raincoat, they are really good. I would love to win for my MIL. She lives in Oz and it’s hard to buy Regatta there. I bought a fleece years ago. I’ve had my Regatta walking boots for years. They are so comfortable. I would buy the black Preya e 3 in 1 Mulberry coat. I haven’t bought anything from Regatta before but I like the look of their range and would be looking to purchase a jacket for myself. Aww I am loving the Polar bear fleece it looks super cosy for the winter months! 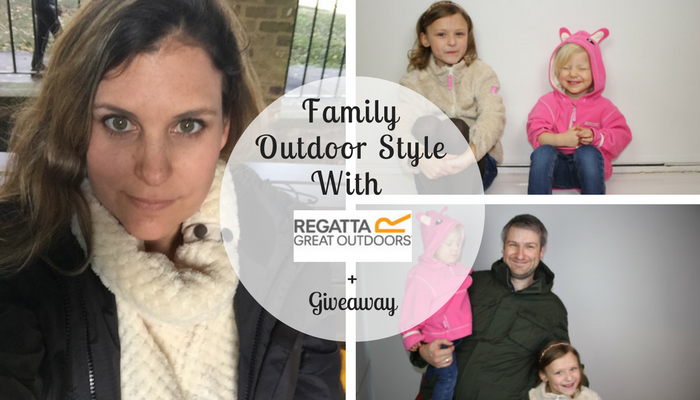 I have purchased from Regatta many times, I recently just bought my daughter a waterproof cosy Regatta jacket! Brilliant quality! If I was to win I would buy myself a thick winter coat or jacket, the jackets I own at the moment are all light weight. We have bought all sorts from Regatta, from fleeces to jackets to t-shirts to walking boots! They have all been excellent quality and have worn well. Need a new coat so will be looking!! merry xmas. I love the range and I buy the whole family some new coats for sure. Love regatta. It’s one company whose sizes are consistent and you aren’t always sending stuff back because they’ve changed their sizing. Always comfy and warm but very fashionable. I would go for the Penkar Jacket Bayleaf, it looks very smart. Good luck to everyone. I’ve not bought from Regatta before but love their clothing. I’d love to win this to get some items for my job search in the new year. I would buy my Son a fleece and a new coat. Not shopped directly with them but have bought regatta products before. I would probably get a new coat for my hubby if I won. Yes, I have a waterproof from Regatta 🙂 not seen their latest range before though. Love the items you received – that all in one suit is fab! Think the polar bear fleece is probably my favourite though.